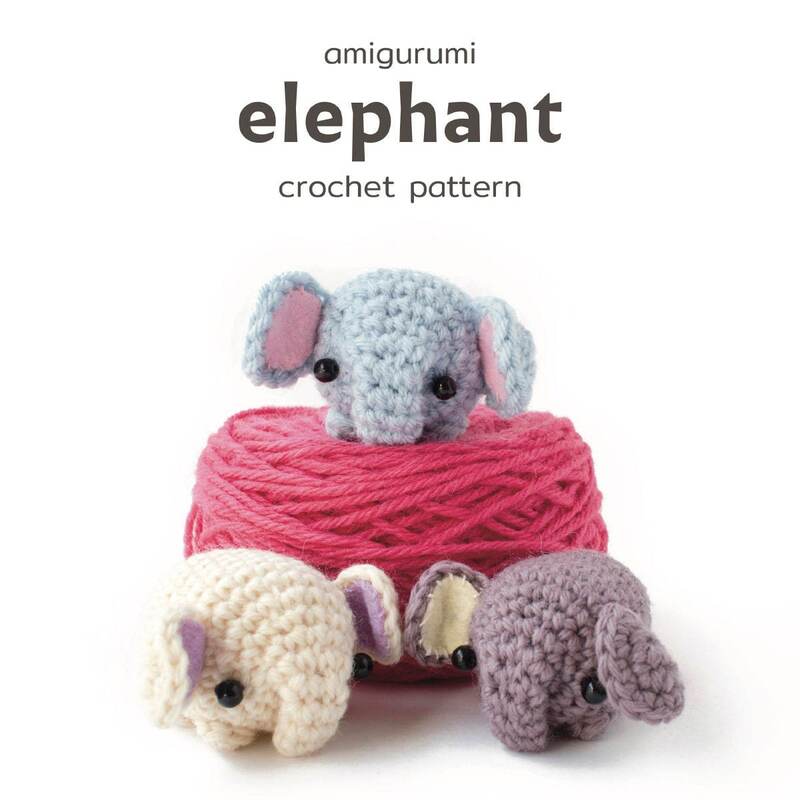 A downloadable amigurumi pattern for a little crocheted elephant. 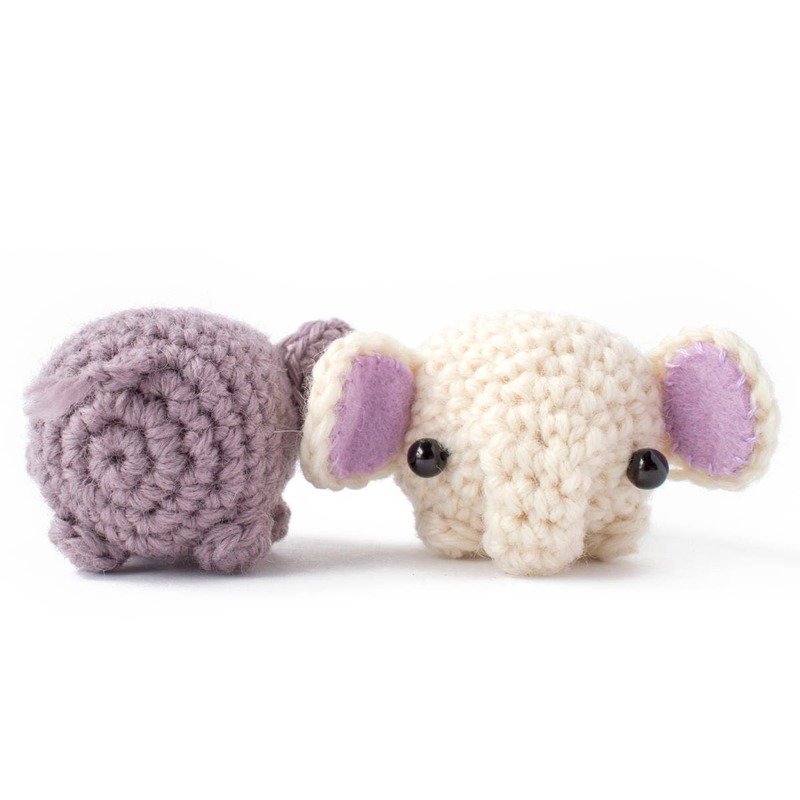 The digital file includes a written crochet pattern and crochet charts, lots of photos, detailed assembly instructions, and a printable template for the felt ear shapes. A printer-friendly version with fewer photos is included. 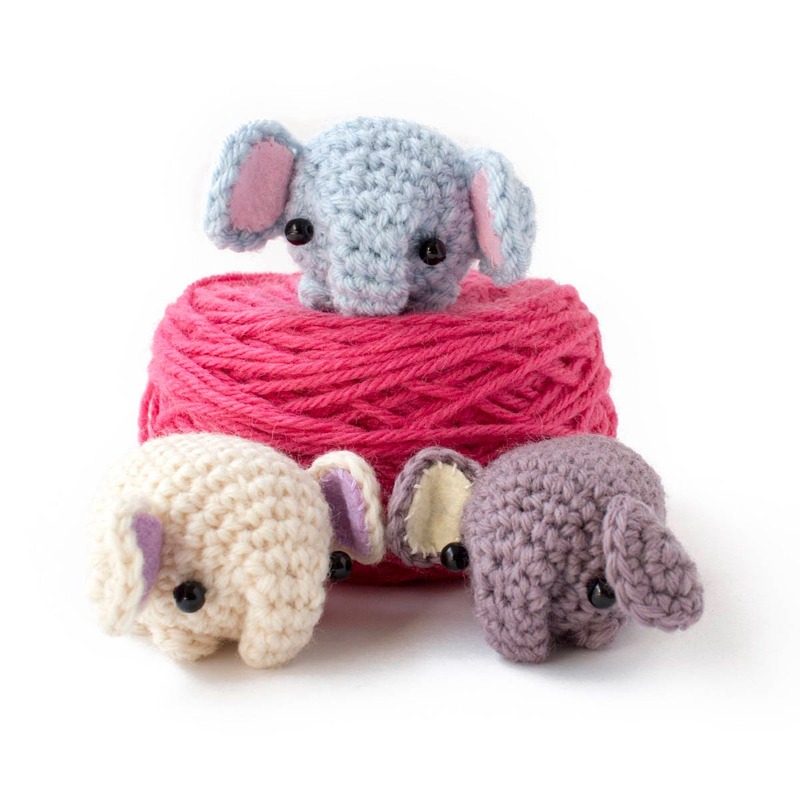 Using medium (worsted) weight yarn and a 3.5 mm (E) crochet hook, your elephant should be about 6 cm / 2.4" long. If yours turns out much bigger or smaller, you'll need to adjust the felt shapes to match. Once your payment is processed, you'll be able to download the pattern immediately from your Etsy account. Feel free to contact me if you need any help. You're welcome to sell amigurumi made from this pattern, as long as you credit móhu as the designer. More details can be found on the last page of the pattern. Purchasing this pattern does not give you the rights to the design. You may not distribute copies of the pattern. You may not publish or distribute an altered or modified version of the pattern or design. CUTE. Looking forward to trying the pattern. 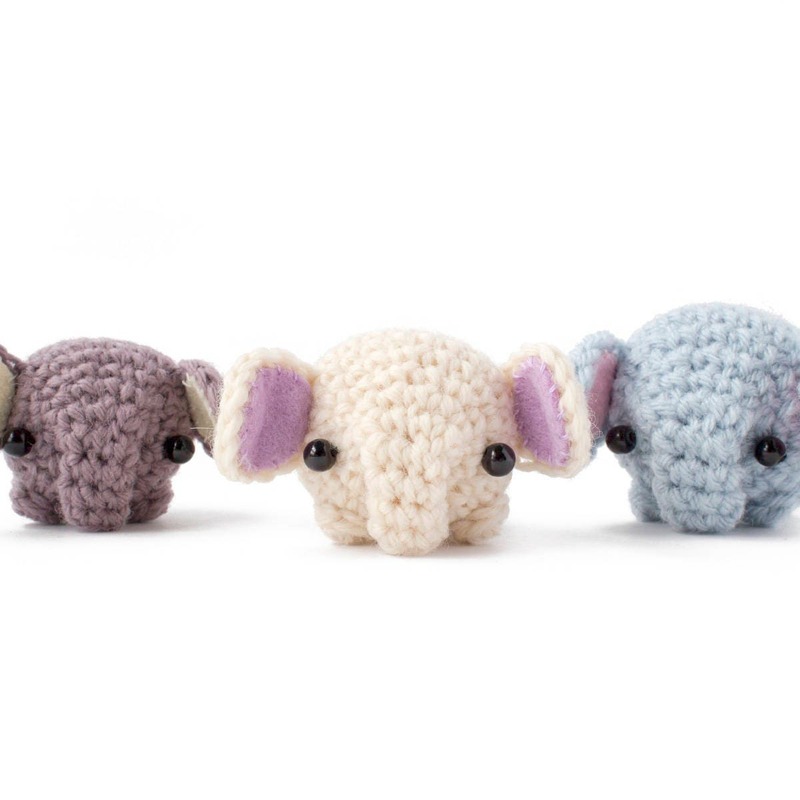 Completely adorable--the perfect stocking stuffer for my elephant lover! Thanks so much!